nescient it services are very proud to have been awarded the status of 'Approved Trader' under the Trading Standards approved Buy With Confidence scheme. 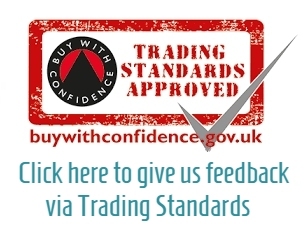 The Buy With Confidence scheme helps consumers to find approved traders who have agreed to provide high standards of customer service, including dealing promptly with any complaints. Any business can apply to join, and the list of approved traders runs from builders to wine merchants and from chauffeurs to upholsterers. Approved traders are vetted before they join and agree to ensure that staff are properly trained for their work and respond promptly and correctly to customer complaints. In addition, Trading Standards will provide a mediation service if there is a dispute which cannot be resolved between the parties concerned. Consumers can be certain that if they use an approved trader they have been thoroughly checked and have agreed to adhere to the highest professional standards. 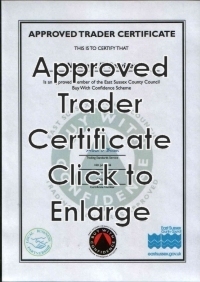 There are now over 200 approved traders signed up to the East Sussex area scheme. Having originally started in Hampshire the Buy with Confidence scheme is rapidly being expanded right across the UK. Wherever you are in the UK there is likely to be a branch of the scheme not far from you, and more are being introduced all the time.